Both in times of drought and in times of plentiful water, water conservation is a major part of green living. Water is our most precious resource...and one that most of us take for granted. 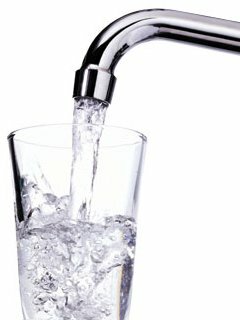 I have lived on well water for many years, and when the well is out (usually due to a power outage) the importance of water in the home takes on a whole new meaning. After Hurricane Ike hit the Gulf Coast, power was out for 2 weeks - which meant the well and running water was also out for 2 weeks. No running water at all for 2 weeks really helped my appreciation of the impact of a major drought, the importance of water, and how our everyday habits waste so much. Every drop of water had to be obtained and hauled. Every drop had to be conserved. We had planned on being without water for 10 days - and had stored drinking water, shower water, flushing water and cleaning water - but we knew running out was not an option so conserving every drop was critical. We learned some important lessons that have become an everyday part of our green living. A rain barrel is a great device...and easy to make a home version that will work fine. When you have to haul the flushing water up several flights of stairs every time...you don't have to go to the bathroom as often. It is possible to take a complete shower with one gallon (yes only one) of water from a water bottle. And it is possible to do this day after day. It is possible to cook great meals using fewer pots and pans. Wiping off (not rinsing) dishes right after eating makes cleaning more efficient. It is possible to shave with a cup and 3 ounces of water. Washing clothes really uses a lot of water...think twice about every load and reuse the grey water if you can. The coffee left in the pot adds up to a lot of water after 2 weeks. And it works just fine for watering container plants and house plants. 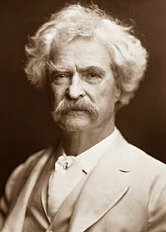 Mark Twain's words over 100 years ago hold true today. Our water resources are not growing, but our population and demand for water keep increasing. During times of drought we think about water conservation a lot....and let our lawns go brown (not the best thing for the environment). After the drought eases, we go back to our old habits. Water conservation is a key part of the green living lifestyle - both for individuals and for business. Adopting a green philosophy means changing habits, using the great water saving techniques from our grandparents, and taking advantage of all the great new technology that is available to conserve water.